Looking for a fantastic weekend getaway for two? Or for somewhere to stay on business? 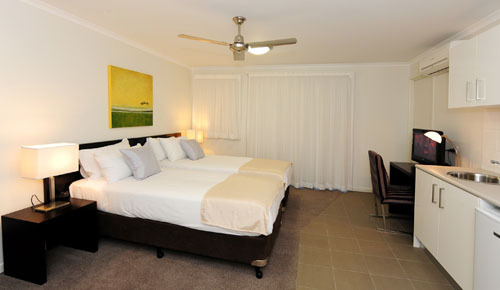 Gladstone City Central offers a spacious modern executive hotel studio apartment with a large ensuite, Queen-sized bed, large balcony and kitchenette. The studio apartment also includes a flat-screen TV and computer desk.